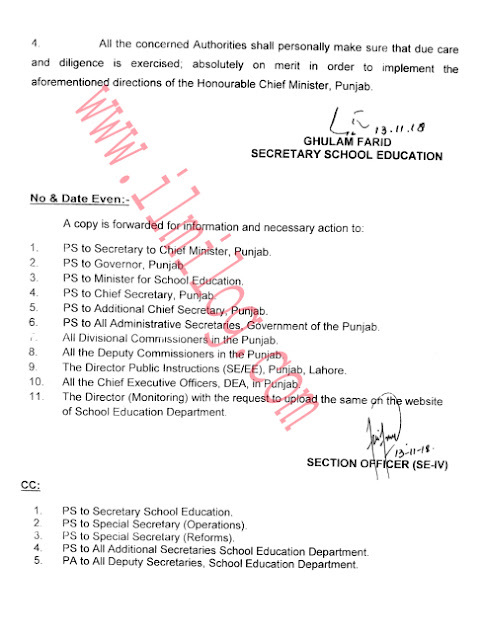 A NOTIFICATION No.SO (SE-IV) 7-28/2018(Transfer) government of the Punjab school education department Dated Lahore the, 13th Nov 2018 regarding Transfer news 2019 for Posting Orders Timeline School Education Department. 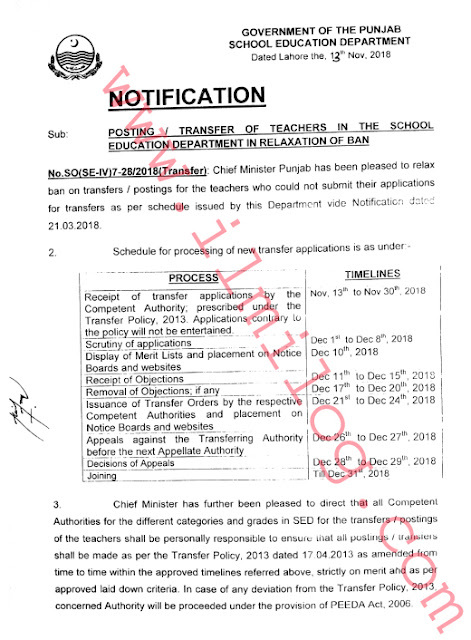 For transfers as per schedule issued by this Department vide Notification 21.03.2018. 3. 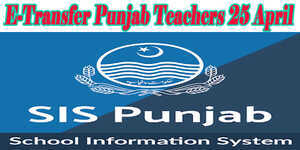 Chief Minister has further been pleased to direct that all Competent Authorities for the different categories and grades in SED for the transfers/postings of the teachers shall be personally responsible to ensure that all postings/transfer shall be made as per the Transfer Policy, 2013 dated 17.04.2013 as changed now and again inside the affirmed courses of events alluded above, entirely on legitimacy and according to endorsed set down criteria. 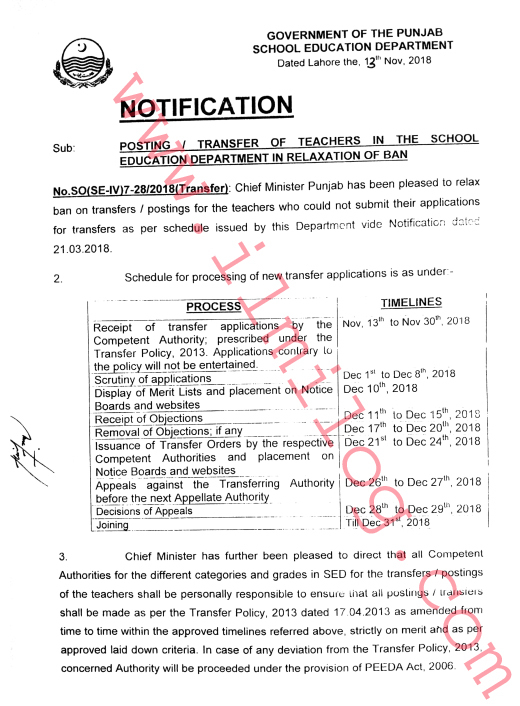 If there should arise an occurrence of any deviation from the Transfer Policy, 2013, concerned Authority will be continued under the arrangement of the PEEDA Act, 2006.